Our Board of Directors is committed to helping our students develop the economic way of thinking. We are constantly looking for ways to add context to what our students know in theory, so that they can apply theory to the real world. James C. Lerch is an Economics teacher at University High School. Mr. Lerch earned his B.S. in Business Administration from Northern Arizona University and his J.D. Degree from the University of Oregon. He was a lawyer for fourteen years and represented numerous private clients and was also a public defender. After changing careers to become a teacher in 2002, he spent much of his career overseas, teaching economics and history in Cameroon, Hong Kong, Kazakhstan, Macedonia, and Lebanon before returning to the US in 2014. Mr. Lerch currently teaches AP Micro, AP Macro, and Honors Economics. Mr. Dickinson holds a Bachelor of Arts Degree from Principia College, Illinois, and a Master’s Degree from Northern Arizona University. Mr. Dickinson has added graduate credits in economics from the University of Arizona and history credits from San Diego State and the University of New Mexico. 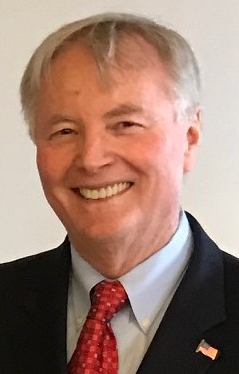 Mr. Dickinson has worked for several international hotel chains and real estate development firms. He has been recognized with the ITT Sheraton "President's Award." He has traveled to China, Hong Kong, and England. He successfully founded and directed Dickinson Sports, LLC for twenty years producing the world's largest national junior tennis event. Mr. Dickinson has a distinguished career in athletic coaching having been named Illinois NAIA Coach of Year in Men's College Basketball, Michigan NAIA Men's & Women's Coach of Year in Tennis, USTA Southwest Tennis Pro of Year, and Southern Arizona Girls Basketball Coach of Year. In 2014 Mr. Dickinson was named the "UA Circle-K Teacher of the Year" and "Advisor of the year" for the Veterans Heritage Project. In addition, Mr. Dickinson was recently awarded the George Washington Honor Medal for his work with veterans. Sarah Grace has over 17 years of teaching and research experience focusing on educational issues and classroom dynamics. She is currently working on her PhD in Educational Psychology at the University of Arizona where she studies ethnic identity development and high achieving minority students.